How Much RAM Do I Need on My VPS? This question is the one many people ask themselves before purchasing their first VPS. Indeed, when you only check out the plans, you cannot tell for sure what intensity of RAM usage you expect. 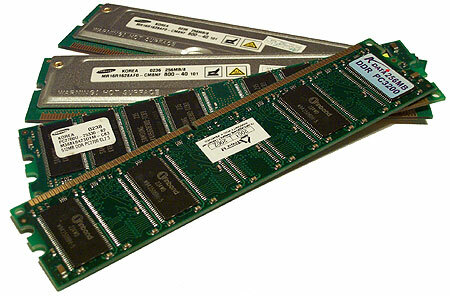 What you know, is the approximate amount of physical memory used by the software you are going to run on your VPS. Software system requirements, however, are usually not enough to estimate the real use of RAM needed for the particular application or script to operate, and thus it is hard to know how much physical memory the entire server with all its background processes in general is going to need. There are some facts that you know that might help you there. For instance, we know that the server in its basic installation – usually LAMP – requires at least 128 MB of RAM. Choice of the control panel will make you add another 64 MB to your requirements (if your choose WebMin or DirectAdmin) or even 128 MB – if you want to run cPanel. This makes a minimum of 256 MB with a lack of operating options. What you can run there is email and FTP exchange (not intensive though) and hosting of simple websites. Dynamic and script-driven websites, such as CMS will also fit this configuration but you may need to implement many adjustments, some of which can limit the functionality of your online project. If you look into running something more serious on the Web, you will need to search for a more solid solution. Let us review bigger VPS configurations and estimate what can be hosted there. This is one of the most popular configurations available on the market of VPS hosting. A VPS with 512 MB of RAM usually becomes a step-up for users who have never dealt with VPS servers before and who gave this type service a try on a smaller plan and then requested an upgrade. If you want to host E-commerce software or run a script that is going to use your server resources constantly – a VPS with 512 MB of RAM is going to suit you perfectly. This plan will also fit those, who look into using a VPS as a platform for hosting reselling – simple shared hosting, of course. WordPress and Magento users will also find such a VPS a better luck, since 256 MB virtual machines never let them run those CMS full-throttle. A one-Gig VPS is a choice of a Pro. Many gurus and experienced webmasters, as well as resellers and other online business holders, either purchase those servers at once or upgrade to them shortly. If you deal with hosting reselling, you will find a VPS with 1024 MB RAM to be a perfect solution for serious reseller business. Unlike smaller VPS plans, those and higher let you offer the so-called Master reseller hosting which implies that your resellers will be able to sell hosting, too. And of course, a more powerful VPS will let you manage the clients easier. Indeed, if you have a thousand clients or more, whatever the business you do is, why should you partition them into groups to send emails hourly so as not to overload the server. You deal with e-commerce, so you must have some special offers and discounts and you want to be sure, everyone knows it – a powerful VPS will let you notify everyone at once without overloads or any other issues. If you need a power of a dedicated server, but do not want to pay extra for the features you do not need, a 2 GB VPS is something you will like. Those servers are usually the top ones among many VPS hosting providers and thus have the highest privileges on the carrier. This feature will make you feel absolutely comfortably on your VPS and it is worth it. Such a powerful VPS is heaven for big online projects and geeky things – those servers are capable of letting you refuse from standard server configuration, so one can easily install there such popular software as Java, Tomcat webserver, FFMPEG and many other tools, to make their online project a hi-tech multimedia pad. We hope that this review of the most popular VPS plans helped you find out what you need or may need for your online business. If it did, you may like the news that since recently we run a special offer that has doubled RAM on all our VPS servers, so now our 256 MB, 512 MB and 1024 MB plans come with 512, 1024 and 2048 Megabytes of RAM accordingly. But if you think VPS is not enough for you, take a look at our cheap Linux dedicated server hosting offers.